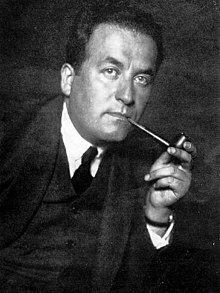 Shmuel Yosef Agnon (July 17, 1888 – February 17, 1970) was a Nobel Prize laureate writer and was one of the central figures of modern Hebrew fiction. The old man … received the Sabbath with sweet song and chanted the hallowing tunefully over raisin wine; while it was still day he hallowed and the sun came to gaze at his glass. … The table was well spread with all manner of fruit, beans, greenstuffs and good pies, plum water tasting like wine, but of flesh and of fish there was never a sign. … in truth it is in no way obligatory to eat flesh and fish … He and she, meaning the old man and the old woman, had never tasted flesh since growing to maturity. The Bridal Canopy, translated by I. M. Lask, New York: Literary Guild of America, 1937, p. 222. Speech at the Nobel Banquet at the City Hall in Stockholm (10 December 1966), in Nobelprize.org.